The first Small Business Saturday took place on 11/27/10 and American Express encouraged people across the country to support small, local businesses by offering a generous statement credit of $25 off $25. 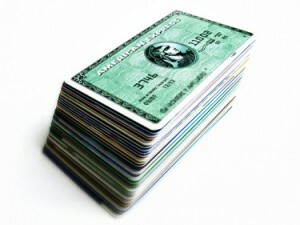 The event was hugely successful, with people coming out in droves to shop and use their Amex cards. For the past five years, small business owners have relied on the American Express statement credit program on the Saturday after Thanksgiving. The program has helped to counter balance lagging traffic and sales during Black Friday weekend for thousands of small business owners. My question to Amex: You didn’t think your decision to effectively cancel Small Business Saturday didn’t warrant an announcement on the home page of your Small Business Saturday website? Shame on American Express for not making sure that small business owners were given a heads up that, for the most part, Small Business Saturday has gone bust. When I went online today to find out what kind of credit incentive Amex was going to offer for the 2015 Small Business Saturday, I saw nothing on their website. But I did find several articles claiming that an American Express announcement that no statement credits would be offered this year, was buried somewhere in their FAQ section. I looked around on the Amex Small Business Saturday website for quite some time and found no such announcement in their FAQ section or anywhere else. As in years past, American Express will continue to drive awareness of Small Business Saturday and encourage consumers to shop small through local and national advertising. We are also significantly expanding our grassroots advocacy efforts, such as the Neighborhood Champion program, to facilitate more community events and activities to engage local communities to shop small on Small Business Saturday. Why would Amex have a Small Business Saturday and not have statement credits? What would motivate people to shop on that day vs. any other day? Sorry, Amex but your offer to increase support and supply materials isn’t going to bring the store traffic to small businesses that your statement credit program did. It won’t even come close. The popularity of Black Friday Weekend has lessened in recent years, as e-commerce has completely changed the scope of holiday shopping. And now Amex has decided to quietly cancel their statement credit program? As the Executive Director of my local Chamber of Commerce, I have seen firsthand how successful stores have been on Small Business Saturday, thanks in large part to the American Express statement credit incentives. I also witnessed hundreds of shoppers who swarmed the stores that day with loads of Amex cards. And I mean loads—per person. I saw one shopper with at least 50 credit cards. And I witnessed store after store printing out sales receipts that were eight feet long nonstop until they closed at midnight. A little-known rule regarding American Express cards, is that you can have up to 99 authorized users on any one card—each with their own card, and more importantly, their own individual statement credits. So I am assuming that American Express was tired of shoppers abusing the program. But they could have easily limited the promotion to one card per person, and that would have been the end of the abuse. Instead, they canceled the program entirely, with no formal announcement. Not yet, anyway. 2010: $25 off $25 offer announced on 11/08. Registration opened 11/08. Spending valid 11/27-12/31/10. 2011: $25 off $25 offer announced on 10/06. Registration opened 11/01. Spending valid 11/26/11. 2012: $25 off $25 offer announced on 09/24. Registration opened 11/17. Spending valid 11/24/12. 2013: $10 off $10 offer announced on 10/01. Registration opened 11/24. Spending valid 11/30/13. 2014: $10 off $10 valid 3 times per card announced on 09/27. Registration opened 11/16. Spending valid 11/29/14. 2015: No formal announcement made yet, that Small Business Saturday statement credits are canceled for 2015. I get that American Express is trying to cut costs, but in my opinion they should have canceled Small Business Saturday altogether. Let’s get real, without a financial incentive, people won’t pay attention. Wasn’t a financial incentive the whole point of the program? Incentives or no incentives. At least let small business owners know.